Louis H. Sullivan was an esteemed American architect, famously referred to as the father of modern American architecture. Sullivan is accredited for developing the aesthetics and dynamics for the first skyscraper. Some of his highly acclaimed and notable works include Auditorium Building, Chicago, the Guaranty Building, Buffalo, New York, and the Wainwright Building, St. Louis, Missouri. Louis Sullivan was born on September 3, 1856, in Boston, Massachusetts to parents Patrick Sullivan and Andrienne List. His parents had migrated to the US from Ireland and Switzerland during the 1840s, and Louis had an older brother, Albert Walter. Sullivan attended the public schools in Boston, and in 1869, his parents relocated to Chicago while young Louis choose to remain with his grandparents, on their farm in South Reading. In 1872, he enrolled at the Massachusetts Institute of Technology, however, he left MIT only after a year and began working for Furness and Hewitt, in Philadelphia. In 1873, he briefly worked for notable architect, William Le Baron Jenney in Chicago. In 1874, Sullivan left for Paris and enrolled at the Ecole des Beaux-Arts, however, due to his strong distaste for classrooms and closed institutions, he was very neglectful of his lectures. Soon, he began apprenticing for renowned architect Emile Vaudremer. Louis lived in Paris for a year. In 1875, Sullivan returned to Chicago and signed up as a draftsman for Joseph S. Johnston & John Edelman. Soon, he began to garner fame and admiration for his design for the interior decorative “fresco secco” stencils of the Moody Tabernacle. In 1879, Sullivan began his lifelong and incredibly successful partnership with Dankmar Adler, and together, they came to be considered as the leading gurus of theatre architecture. In 1889, they designed the Auditorium Building in Chicago, a huge complex furnished with 4,200 seats, an office building with a 17 story high tower, a hotel and commercial outlets. In the 1890s, the famous duo were involved in the development of the Schiller Building, the Chicago Stock Exchange Building, the Guaranty or Prudential Building, New York, and the Carson Pirie Scott Department Store, Chicago. In 1892, Sullivan developed his magnum opus, the Wainwright Tomb, a monument dedicated to the memory of Charlotte Dickson Wainwright, in Bellefontaine Cemetery, St. Louis. This building is not only listed on the National Register of Historic Places, but it is also a St. Louis Landmark. In 1893, Sullivan began designing his iconic polychrome modern Transportation Building for the “White City”, at the World’s Columbian Exposition in Chicago. The iconic duo of partners broke up in 1893, due to the severe economic depression that took over America, and Sullivan began encountering serious financial difficulties, and he gave into alcoholism. Some of the famous projects undertaken by Sullivan in his later years include the National Farmers’ Bank in Owatonna, Minnesota; the Merchants’ National Bank in Grinnell, Iowa; and the Krause Music Store in Chicago. In 1924, his autobiography, titled “The Autobiography of an Idea”, was published. 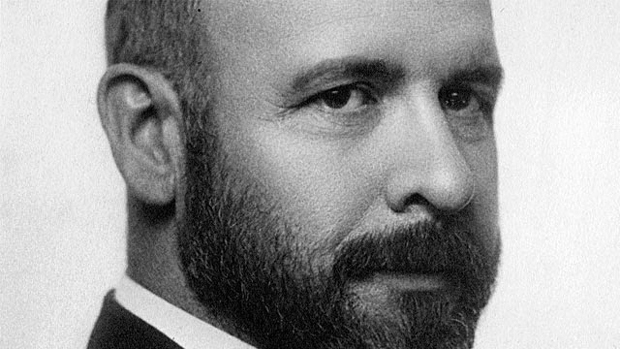 In 1944, Louis Sullivan was awarded the AIA Gold Medal by the American Institute of Architects as a tribute to his “enduring contribution to the theory and practice of architecture”.